IPOH: The government’s decision to increase the minimum wage effective next year is not against the National Wage Consultative Council Act 2012, said Human Resource Minister, M. Kula Segaran. According to Kula Segaran the government had spoken to all parties and stakeholders about the minimum wage proposal before making any bold decision. “I am happy the large segment of society is happy that the minimum wage is RM1,100. We also have to see that in becoming a more developed and more efficient economy, good salaries being paid is a criteria that has to be taken into account. 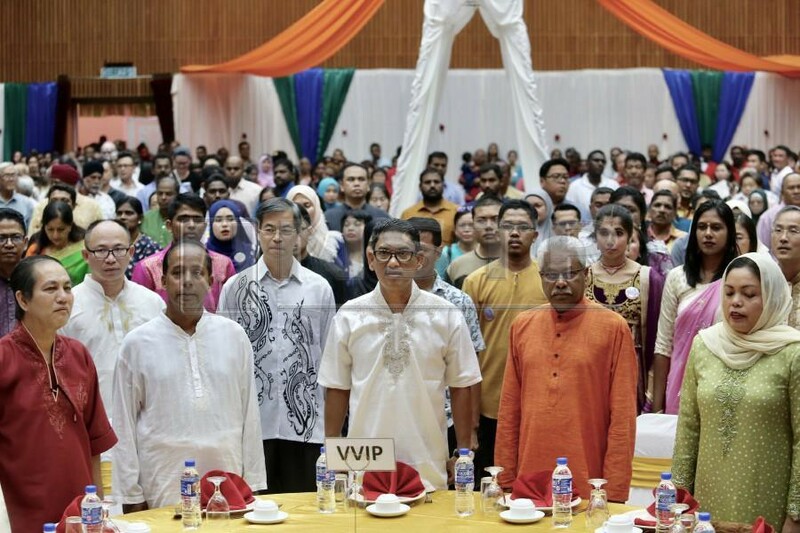 “The salary of RM1,050 was gazetted at that time but under the law the cabinet can re-evaluate and come to a different decision and the unions also say the figure is fair and reasonable,” he told reporters during the Social Security Organisation (Socso) Deepavali open house here, today. Kula Segaran was commenting on the Malaysian Employers Federation (MEF) Executive Director Datuk Shamsuddin Bardan’s comments that they were unhappy with the wage proposal announced by Finance Minister Lim Guan Eng during the tabling of 2019 Budget, last Friday.